I did my initial research and published this article a couple of years ago, and this is an updated and extended version for those of you who are interested. 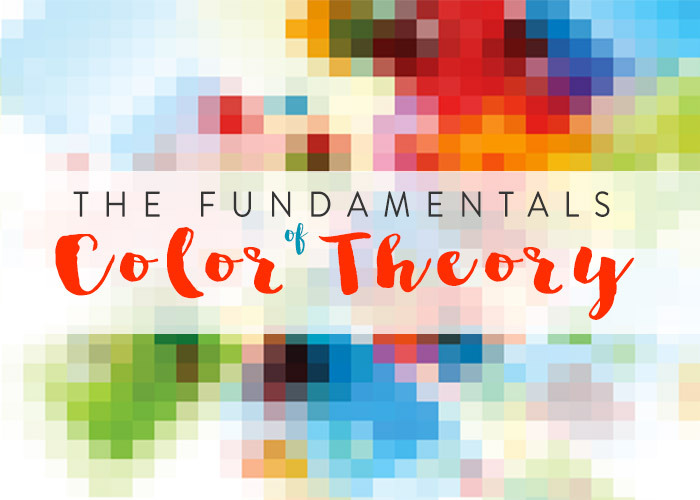 These are the necessary color-related things for every visual artist to know and understand. Color is a property of both an object and light, and it originates in the eye or the brain of the observer. 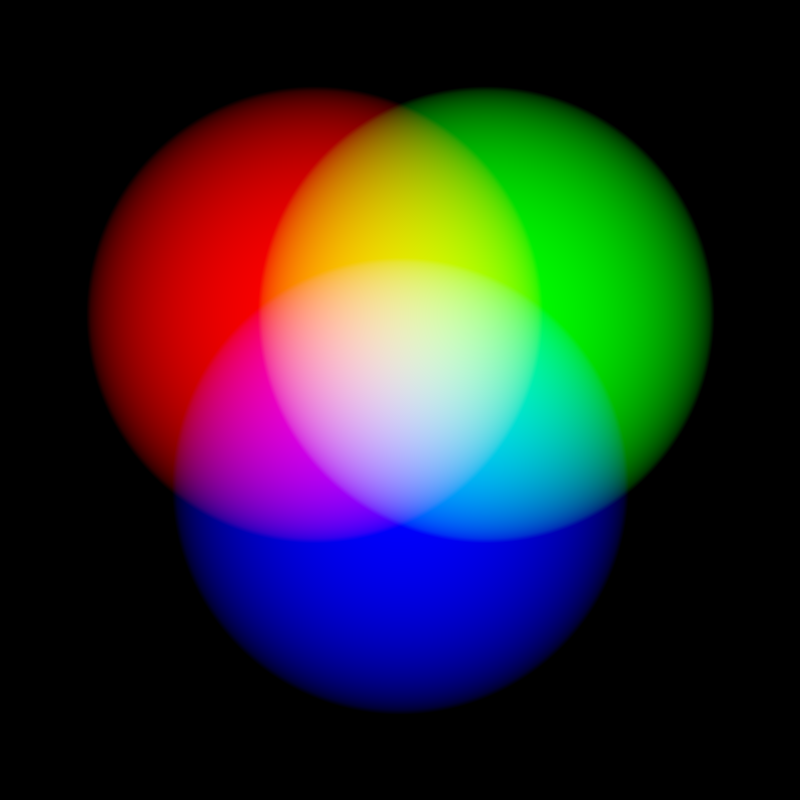 In other words, color is an event that occurs among three participants: a light source, an object and an observer. So all colors exist objectively. 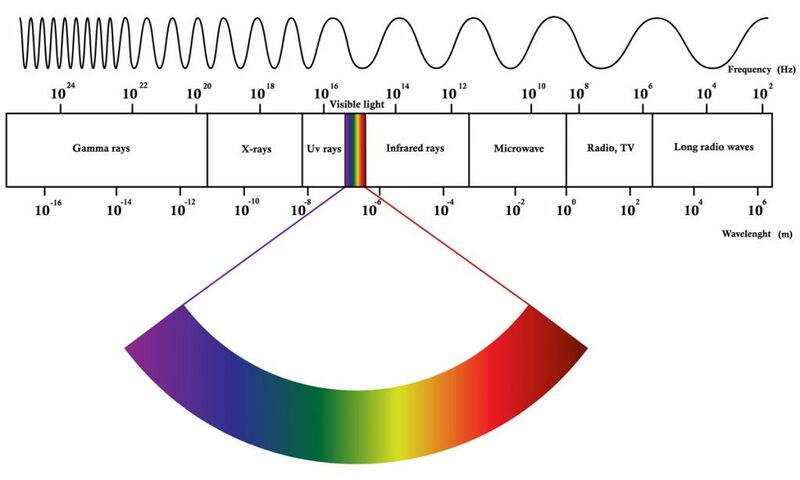 Light is part of the electromagnetic spectrum, and the human eye is only sensitive to a small range of wavelengths near the middle of spectrum. When radiation in this visible part of the spectrum strikes the eye, the brain senses light and color. To make the best use of color’s expressive possibilities, you need to understand some of the science of color and its psychology. Via Npack.eu from article CMYK and RGB – what is the difference? 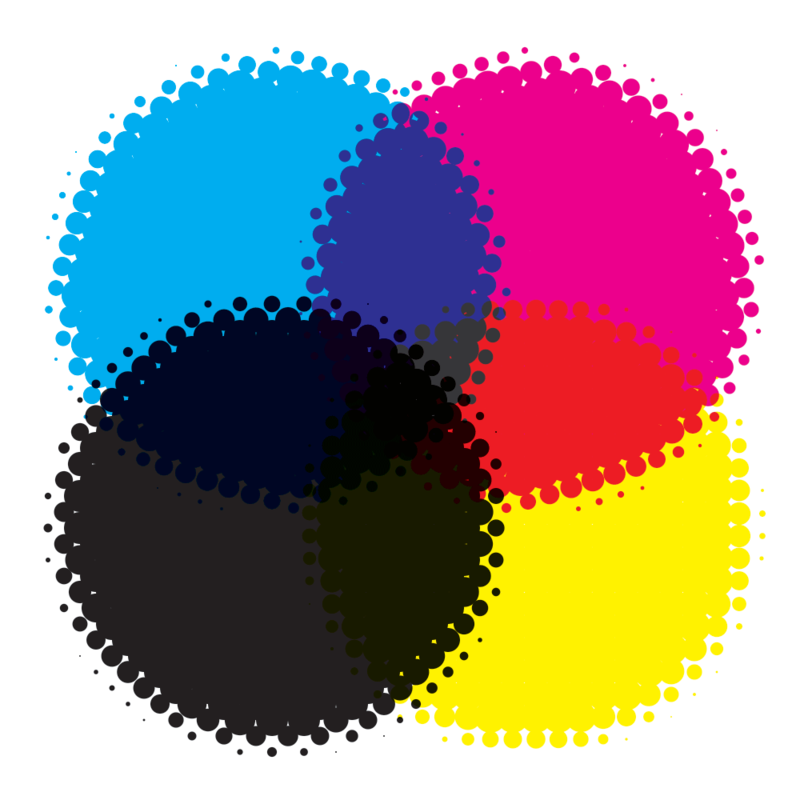 CMYK (Cyan, Magenta, Yellow & Key = Black) is a Subtractive color model, which explains the mixing of paints, dyes, inks, and natural colorants to create a full range of colors, each caused by subtracting (that is, absorbing) some wavelengths of light and reflecting the others. 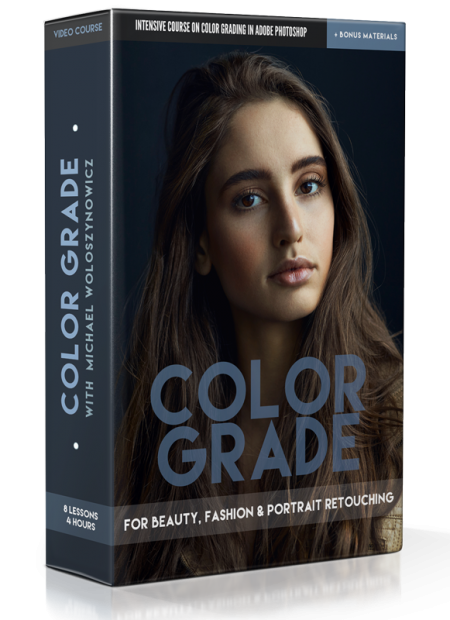 Therefore work in RGB color mode in Photoshop, the additive color system, for your on screen images and convert your images destined for print to CMYK color mode, but make sure to first check with your printing lab or client. CMYK can’t reproduce all of the same bright colors as RGB, that’s why it takes knowledge and experience to make sure your images look identical on screen and in print. Have you ever wondered why RGB and CMYK are always written in that order of letters (not GRB or YCKM)? And subtractive primaries, when matched to their additive counterparts (their opposites), become CMY (K=black). This is actually pretty handy for remembering complementary colors. 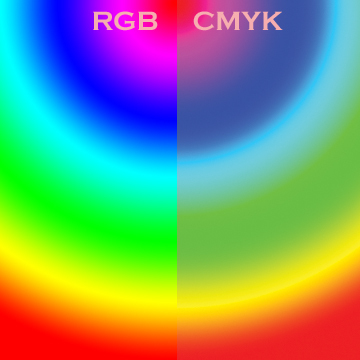 For example, if you’re working on a CMYK image with a blue cast, and need to color-correct it: just remember that RGB relates to CMY in the same order of colors, so Red is complementary to Cyan, Green to Magenta, and Blue to Yellow. Following this logic, adding Yellow will subtract Blue, and vice versa. Same applies to the rest of the primaries. Animation created using Wingsart Color Wheel. When you need to quickly find the opposite or complementary color to one you’re using, sample your color (hold Option (ALT) when working with the Brush tool, or use the Eyedropper tool) and get into the Color Picker menu. Add or subtract 180 from the H number in the H (hue), S (saturation), B (brightness) values. When a photography enthusiast first picks up a camera, the most logical step for him/her is to learn this tool’s User Manual. 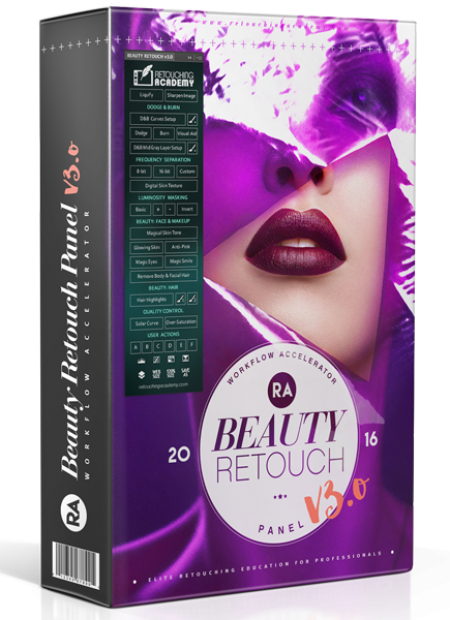 But how about learning how the most important “built-in” tool that we all use for our photography and retouching works? The human eye has three types of color sensors corresponding roughly to red, greens and blues and that is the physical fact that allows us to reproduce colors using just three pigments on paper, or just three phosphors in a monitor. The retina is a complex layer of nerve cells lining the back of an eye. The nerve cells in the retina that respond to the light are called photoreceptors, and come in two types: rods and cones (due to their shapes). Rods provide vision in lower light conditions and are color-blind, and cones respond to color and tone, and function in bright light conditions. According to Harvard neurobiologist Margaret Livingstone, the visual brain processes tonal information separate from color. 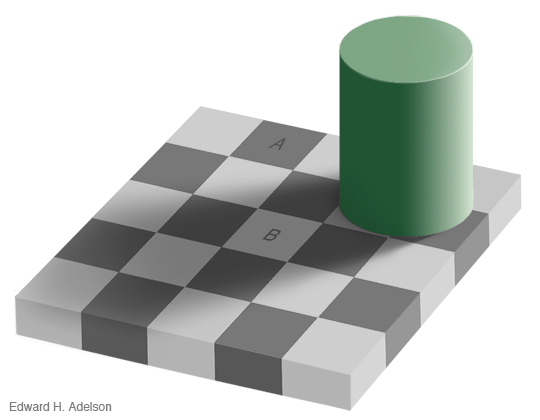 Checker shadow illusion by Edward H. Adelson. 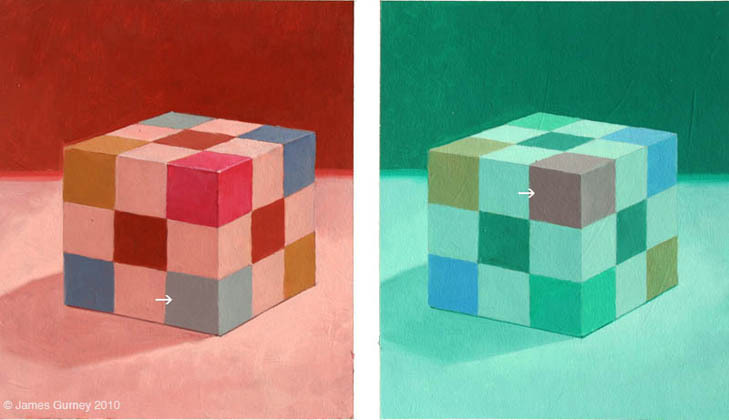 Colored Cube Illusion by James Gurney. The green square is the exact same color as the red square. So it is possible to switch off the context cues and see the real colors. 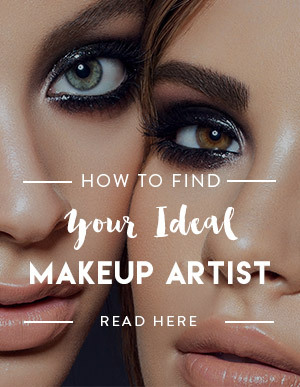 For that we need to be aware of the constant guesswork that’s happening in the background of our visual perception, and learn to mentally or physically isolate colors that we’re trying to evaluate in a picture or reality. Color systems divide all colors into three measurements: hue, value and saturation. Value (sometimes called Lightness or Luminance) is a measure of brightness or darkness of a color or the gray that would be left if the color hue was removed. Two different colors can have identical value. Saturation – the purity, vividness or intensity of a color. 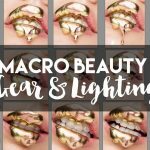 Accurate color in your photographs comes from a close match between the color temperature of the light on your subject and the color balance of your film or digital sensor (i.e. White Balance in DSLR cameras). In photography, color balance is the global adjustment of the intensities of the colors. An important goal of this adjustment is to render specific colors – particularly neutral colors – so that they appear correct or pleasing in the image. If the White Balance setting on your camera is incorrect at the moment of capturing an image, you will recognize that by a slight or strong colorcast (in most cases blue or yellow). Don’t worry it is still possible to save your image, especially if you shoot in Raw format. Chances to ruin an image with an incorrect White Balance setting are much higher when shooting in JPEG format. 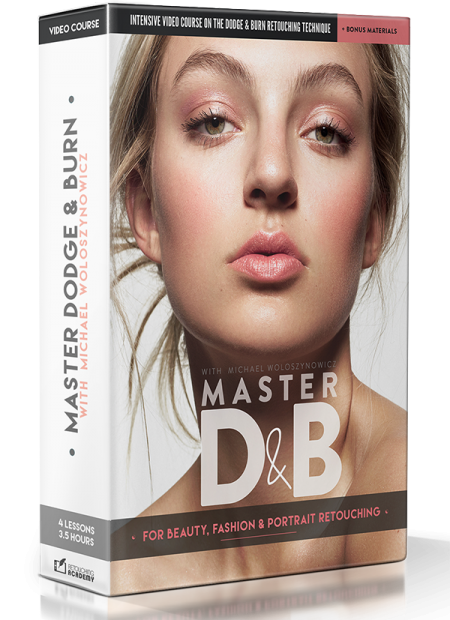 Color management is the process of coordinating colors from nature to camera to monitor to print, so you can be sure of the color that will be produced in your final images. 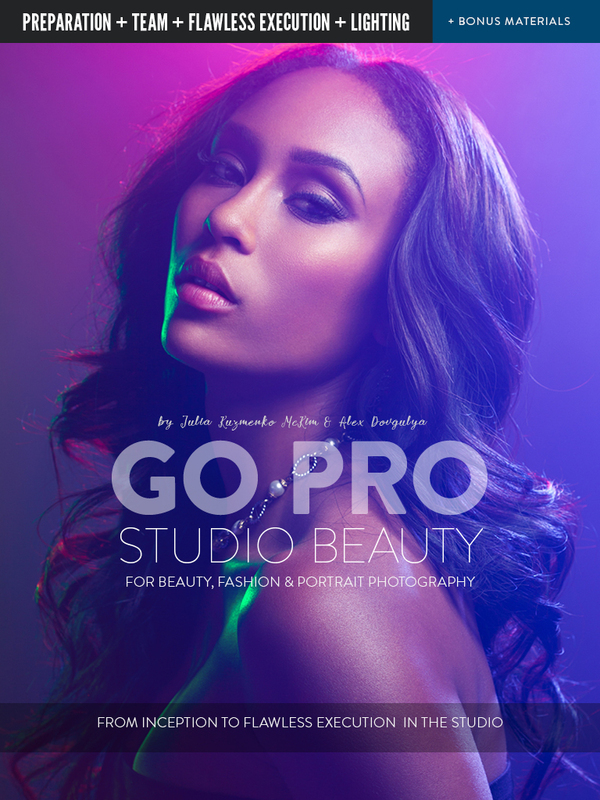 It’s a large and complex part of Photography and Digital Imaging education, so if you are planning to print your artwork I recommend that you research and educate yourself thoroughly on color management, monitor calibrating and color profiles. 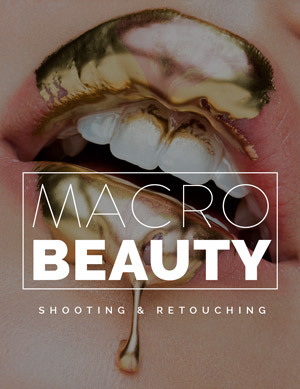 In short, if you’re planning to take your images to a local printing lab, give them a call and check what file format, resolution, color space and color mode would be the best to bring your files in. Naturally we would want to work in color spaces that allow more colors, right? Unfortunately, the problem with using bigger color spaces is that not all devices support them and will display colors correctly. 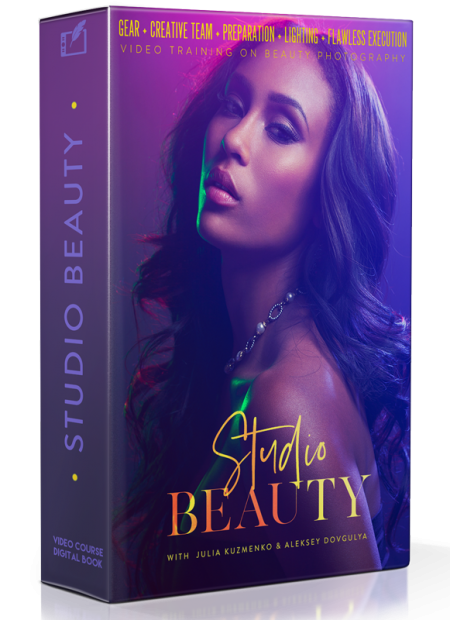 If a viewer’s monitor or your client’s printer can’t display the color space your images are in, they will show dull and washed out colors. 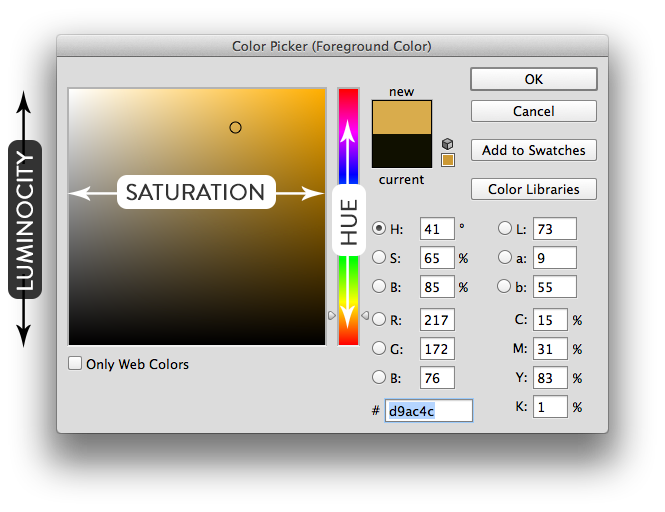 Matching the color spaces that are used on various devices is what Color Management is all about. Since most of the devices that regular people use are not Color Management aware, sRGB is your good middle ground, especially for the images that you’re sharing on the web. 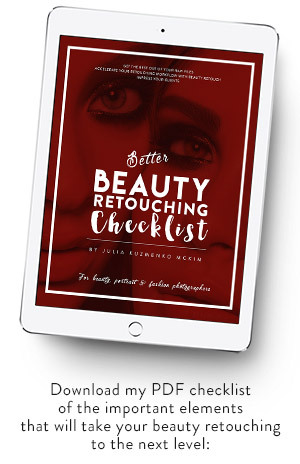 If you enjoyed this article, you might also like my Creative Retouching Essentials in a Day interactive eBook, in which I talk about retouching essentials as well as of how to shoot so that your post-production is smooth, quick and easy! This is a nice article and also nicely illustrated with examples. It’s a complex subject, but I miss often in articles like this that all starts with a good photo, taken with a correct white balance. You talked about this also. But the automatic white balance setting on your camera is not always the best option and using a simple (and cheap) grey card will help a lot. Or even better a color checker. So in stead of correcting in post-production – it’s always better/easier to that it right from the start I think. Please continue with writing this kind of articles! I’m always learning and I’m a big fan of your work.